Now, D&D, in some ways, was a flawed game. Nearly every group that ever played came up with house rules to cover things not addressed by the rules or to allow for players to perform unanticipated feats of daring-do. 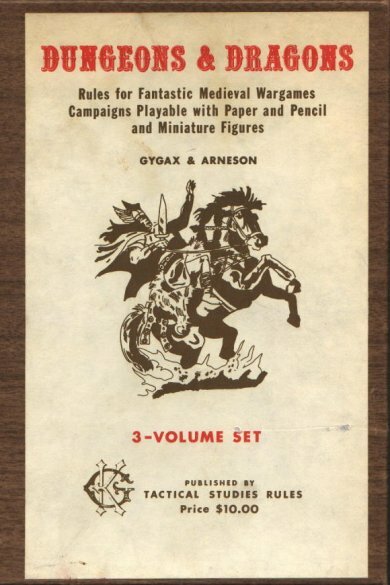 I have also read some of Gygax’s novels. And, in all honesty, I wasn’t a fan. 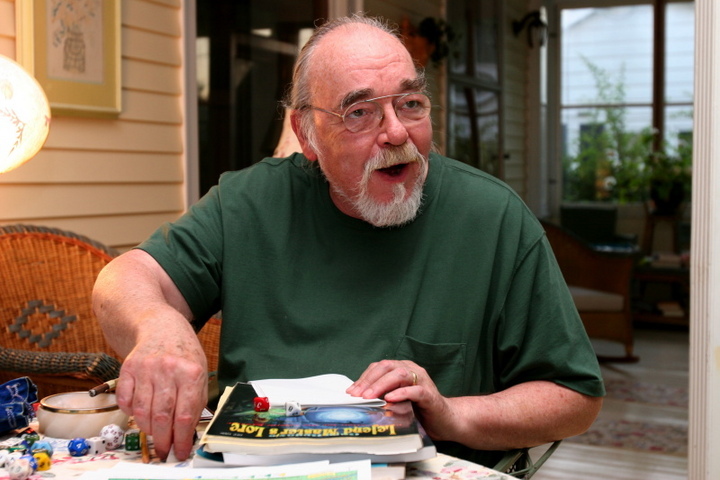 That being said, the magic, the genius, behind Gygax was not necessarily his writing talent or game design prowess. It was the way he was able to spark the imaginations of a whole generation and pass on his own enthusiasm for the game in a way to change the way we look at the world…and the worlds beyond. The influence of this game, this phenomenon, cannot be understated. From it sprang the concepts behind many of today’s pop-culture staples. D&D spawned the entire multi-million dollar RPG industry. Now there are games of all stripes: horror, adventure, modern, science fiction, weird westerns…you name it, there is an RPG for it. Novels, not only those set in D&D worlds but in others, sprang from the tables of role players. Dragonlance, began by a D&D campaign (role-playing in long story form), became a series of best-selling novels, game supplements, video games, and now an animated movie. The game inspired video games such as Zork and Wizards and Warrors. These gave birth to MUDs (Multi-User Dungeons, text-based online role playing games) which in turn spawned today’s World of Warcraft, EverQuest, and Ultima Online. TSR (Gygax’s gaming company) was bought by Wizards of the Coast in 2000, which in turn was later bought by Hasbro, the toy and game giant. D&D itself was revitalized with the new d20 system, made an “open source” system for other companies to rally behind. The community of gamers has grown to encompass millions of fun-loving individuals around the world. Traditionally a male-dominated club, now female gamers are joining the ranks in droves, bringing geeks of all shapes and sizes together for the love of the game. 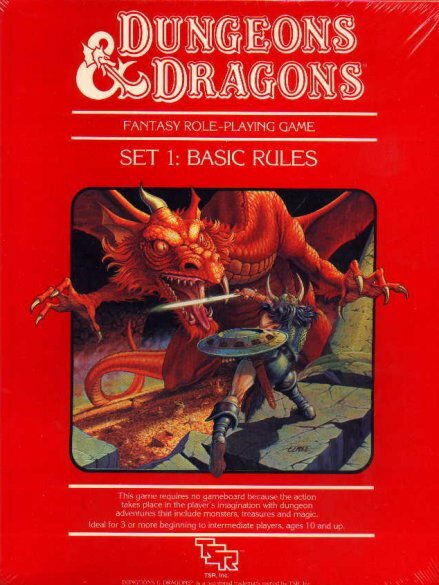 In eighth grade, I bought the now-classic ‘red box’ set of basic D&D. I put my siblings and a couple of neighborhood friends through a couple of dungeons. In high school, I joined a group of friends that I still spend time with, playing AD&D (Advanced Dungeons & Dragons). Our love of gaming was not the only thing that bound us together, but was a vital thread in forming our friendships. Since then I have played other games: Vampire, RuneQuest, Paranoia, Star Frontiers, even a home-grown game another friend developed (and we still play). I’ve been a player and a GM (game master…or DM–Dungeon Master, which is used specifically for D&D). I’ve run short games and a current campaign that has gone on about 9 years. I’ve even developed my own game based on a card game. Recently, I will be having an article published in a major RPG-based magazine…my first paid writing gig. Gaming has been a big part of my life for a lot of years. And I owe it all to Gary Gygax. If there is an Ethereal Plane beyond the Prime Material, then I’m sure he has a table and some dice out waiting for us all to join him.